You feel depressed—who doesn’t occasionally? But yours has lasted weeks, or months, or even longer. Your doctor says you have mild to moderate depression and has perhaps prescribed antidepressant medication, but you want to consider other options. Or perhaps you are already on medication but feel it is not working well enough. 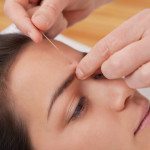 I want to share with you how acupuncture can help. Studies show acupuncture works as well as antidepressant medication in reducing depression. It does this without having any of the negative side-effects of such medication. These side-effects can easily be found by googling the medication you are currently using or considering using. Studies also show that acupuncture augments the effects of anti-depressant medication when both are used together. There is no shame in using both together. I am not a purist and advocate whatever works best for my patients as a temporary measure. I have treated a lot of patients who were suffering from depression. In most cases I have witnessed a lifting of mood and greater feeling of well-being after the first treatment, as well as a deep feeling of relaxation. The mood lift becomes more evident and longer-lasting over a series of treatments. How does this happen? From a physiological point of view, acupuncture regulates the production of neurotransmitters and hormones. Studies show it increases the levels of endorphins and enkephalins and induces the release of norepinephrine, serotonin, and dopamine. Again, with no side effects. From the point of view of traditional Oriental medicine, acupuncture profoundly balances the energy of the body and harmonizes the mind and emotions. Most people who try it experience this. I have observed that if the effects of acupuncture are to last, life-style changes are often necessary. Counseling is helpful adjunct to acupuncture therapy, and changes are easier to make if the patient is experiencing relief from depression. I would like to share with you a few testimonials from patients who have experienced such relief.